Great business starts here - compact and scalable, powerful in every way. 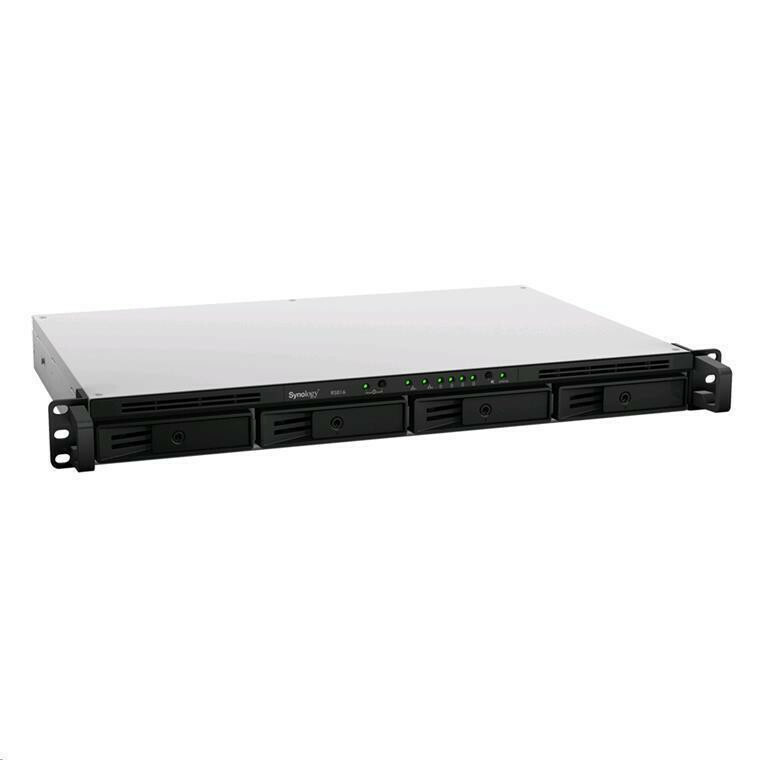 Compact, robust, and scalable, RS816 comes with compelling and crucial features that growing businesses are looking for in a rackmount file server. 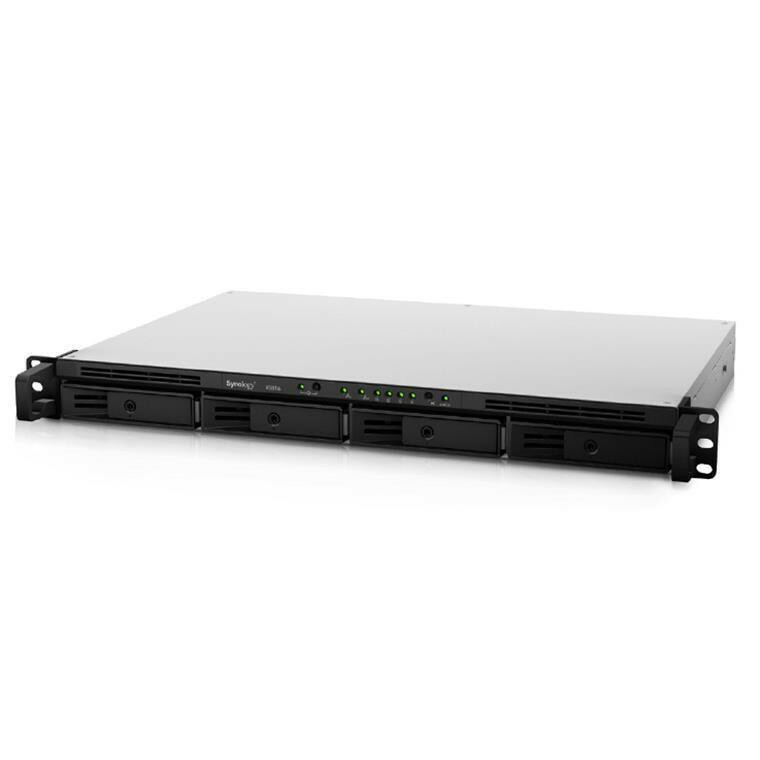 With the dual LAN failover support, this 1U 4-bay rackmount NAS ensures continual availability, promising steadily growing success at a minimum cost. 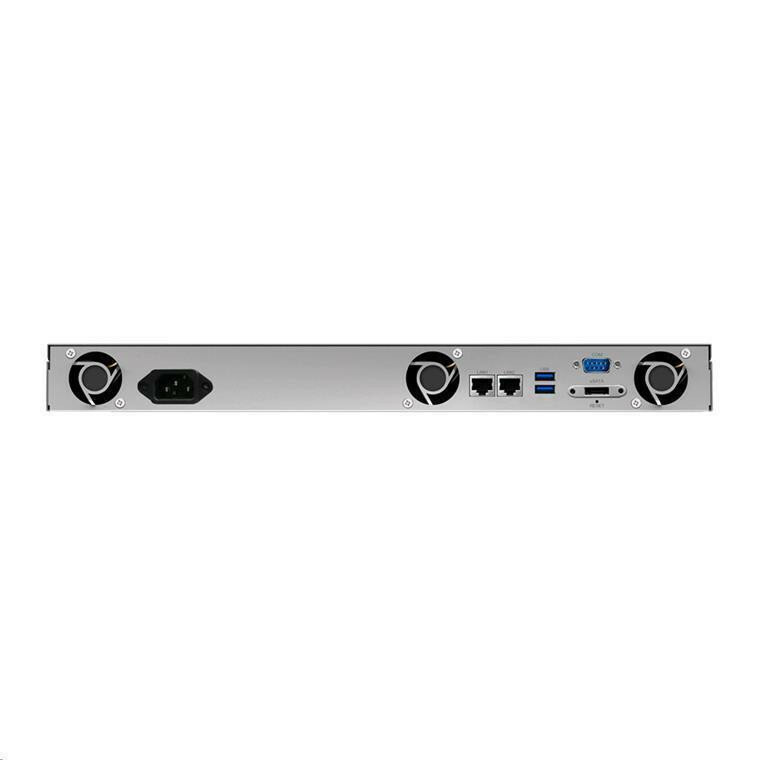 The 1U 4-bay rackmount NAS is only 12 inches deep, and can be deployed in a 2-post or wall-mount rack, ideal for businesses where space is at a premium. In the meanwhile, RS816 does not compromise any bit of its computing power, delivering excellent read and write performance with providing an impressive 142% increase in its encrypted writing performance compared to its predecessor.ed to its predecessor. Powered by an upgraded dual-core CPU with hardware encryption engine, RS816 delivers greatly advanced encryption performance in dual LAN bonding environments at over 148 MB/s reading, 81 MB/s writing, making sure every bit of your data is safe from prying eyes. 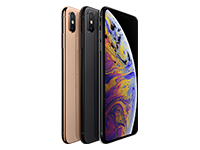 Plus the built-in floating-point unit enables faster thumbnail creation when uploading a large amount of photos and videos, and the 1GB RAM significantly increases RS816's multi-tasking capability, making RS816 the optimal rackmount server for demanding businesses. 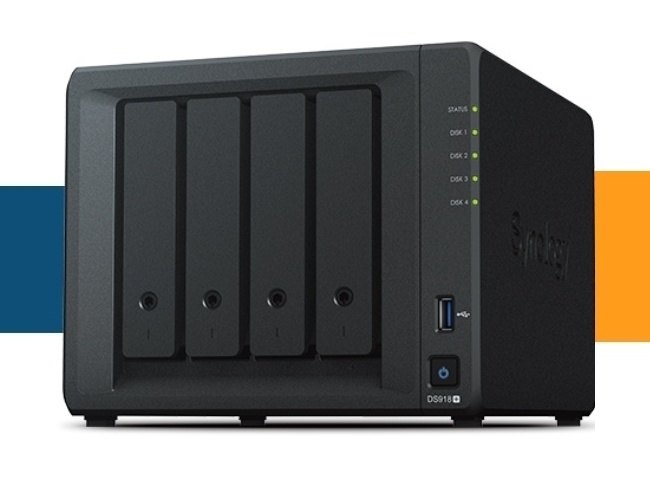 Designed to satisfy growing businesses, RS816 can be easily scaled up to eight drives with Synology's RX415 expansion unit for an additional 40TB volume, merging into one big 80TB volume, so businesses can start with a lower upfront cost and scale up storage capacity as demands grow while reducing time on storage management. 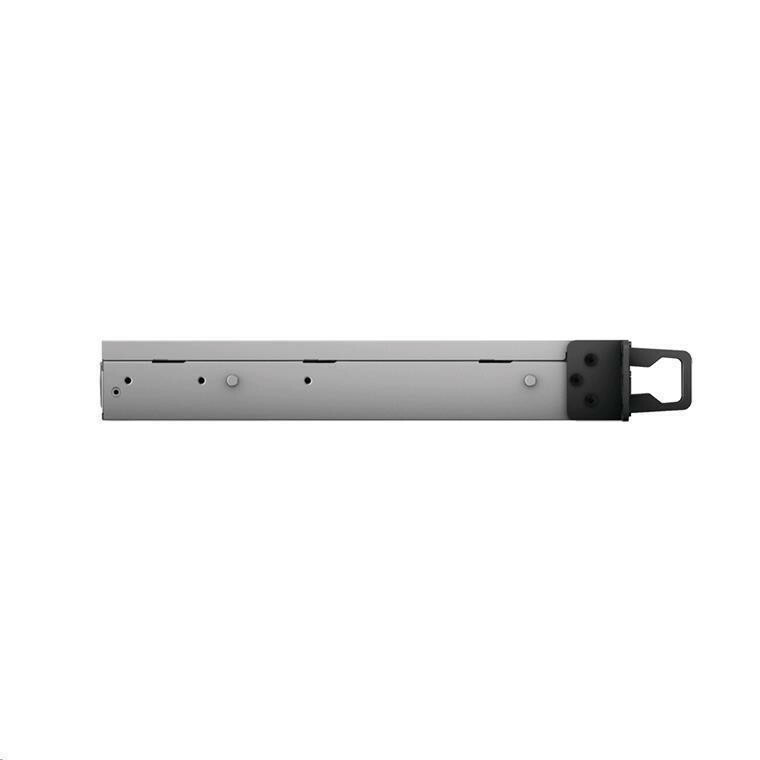 RS816 is equipped with dual Gigabit Ethernet LAN ports capable of applying Link Aggregation technology; while enjoying automatic bandwidth optimization for each connected device, the dual LAN ports also support failover, ensuring continual network service even when one connection is down. RS816's hot-swappable design allows easy and risk-free hard drive replacement and maintenance, providing growing businesses with reliable redundancy mechanisms to keep operations running smoothly. With just one RS816, it's possible to handle a vast amount of tasks. 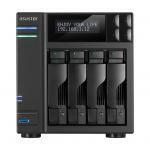 RS816 helps your company gain a competitive edge by acting as your multi-function server. Directory Server provides LDAP service, while DNS and DHCP packages allow you to host a domain name server and automate network IP assignment at no extra cost. With Synology's Proxy Server, you can regulate content access and monitor who can access which website while saving bandwidth. You can host up to 30 websites with Web Station, safeguard the office environments with Surveillance Station, send and receive mails using your own email domain with MailPlus, share printing capability with Printer Server, make RS816 act as a VPN server to access company's resources remotely, and more. 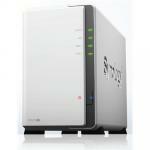 Synology RS816 can serve as a centralized backup target. Whether you are a Windows or Mac user, you can back up everything on your computer directly to Synology NAS using Cloud Station Backup. Whenever you modify a file, the changes are backed up to RS816 automatically. Mac users also enjoy native Apple® Time Machine support. You can also back up data from your RS816 to another DiskStation, rsync servers, external drives, or even Amazon® S3, Glacier cloud service, Microsoft Azure, SFR, and hicloud. Synology Hyper Backup allows you to schedule backup tasks and restore the server to any particular point in time, while minimizing storage consumption and processing time by saving only the specific data block that has been changed between versions. 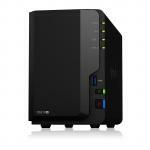 File Station is a fast and secure feature for sharing and managing your files stored on RS816. 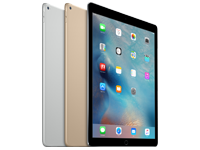 Just drag-n-drop and upload data from Mac or PC. Advanced filters make it easy to search for documents, photos, or videos. With built-in FTP or email clients, RS816 lets you organize and share files through an advanced web application effortlessly. You can even share files and folders with others by simply sending a link. Files can be reached on mobile devices via the companion mobile app DS file. HTTPS, SSL/TLS encryption, and link expiry dates also ensure file sharing over the Internet is highly secure. RS816 brings you comprehensive cloud service. 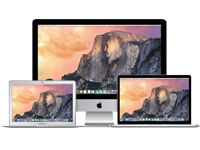 Cloud Station lets you sync files among DiskStations and multiple devices, including Windows PC, Mac, Linux, iOS, Android, as well as Windows mobile devices, whereas 2-way sync allows file synchronization among different DiskStations. With Cloud Sync, you can even sync your DiskStation with Amazon Cloud Drive, Google Drive, Microsoft OneDrive, Dropbox, Box, Baidu Cloud, and many more - establish your hybrid cloud to enjoy more storage flexibility and prevent data loss. Enjoy seamless files sharing across Windows®, Mac®, and Linux® platforms as RS816 offers comprehensive network protocol support including FTP, SMB2, AFP, NFS and WebDAV. With Windows AD and LDAP integration, RS816 can fit effortlessly into any existing network environment - there is no need for IT administrators to maintain two sets of credentials. You also won't worry about missing files with the Recycle Bin feature which is supported on AFP, CIFS, File Station, and WebDAV. All files deleted in a shared folder will be automatically moved into the Recycle Bin. With the support of Windows AD, LDAP, and Domain Trust, RS816 enables seamless account integration. 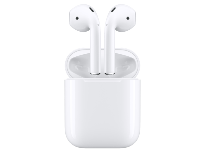 The User Home feature can automatically create a "home" folder for every user account to minimize the administrator's effort in repeatedly creating "home" folders for all accounts. Windows ACL support on RS816 allows IT administrators to fine tune access controls and set up privileges to files and folders on RS816 through the familiar Windows user interface. With compatibility for major protocols, RS816 can eliminate server configuration overhead and enhance IT administrators' efficiency. All Synology NAS is designed with energy efficiency in mind. RS816 only consumes 12.4W in HDD Hibernation and 27.9W in access. 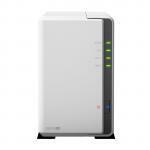 The support of Wake on LAN/WAN and scheduled power on and off can further reduce power consumption and operation cost. Synology acknowledges the responsibility as a global citizen, so all Synology products are produced with RoHS compliant parts and packed with recyclable packing materials. 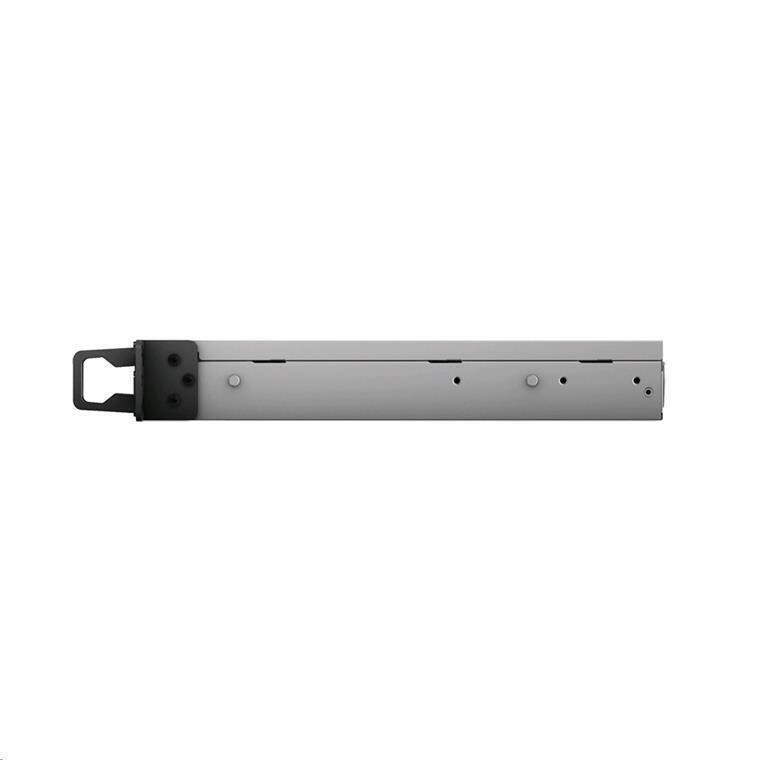 SVPSYN00017 Synology RKS1317 Sliding Rail Kit 14 $138.26 +GST$159.00 inc. Normally: $799.13 Normally: $919.00 $783.15 ex. $900.62 inc.